While sitting at my desk today and looking at the variety of devices strung about, something depressing hit me. Out of the 8 devices lying around my office, only 2 of them were left untouched by an OEM: the original DROID and the Nexus S. That’s it. So 75% of the devices I own are filled with a skin that a manufacturer decided would make the experience on my phone more enjoyable to me. And you know which device I’ve found myself using more and more over the last 2 weeks than any of them? The Nexus. There is nothing better than a Google Experience device. But after I cheered myself up thinking about the Cinco de Mayo celebrating that is about to commence, I started wondering which of the skins on these phones I despised the most. 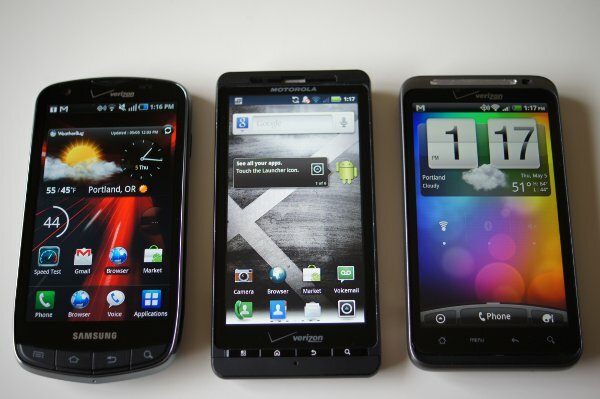 Which phones would I discount immediately due to the custom icky-ness that has been forced upon them? Is it Blur? What about TouchWiz? HTC’s Sense? You guys tell me. The Worst OEM Skin in Android is?